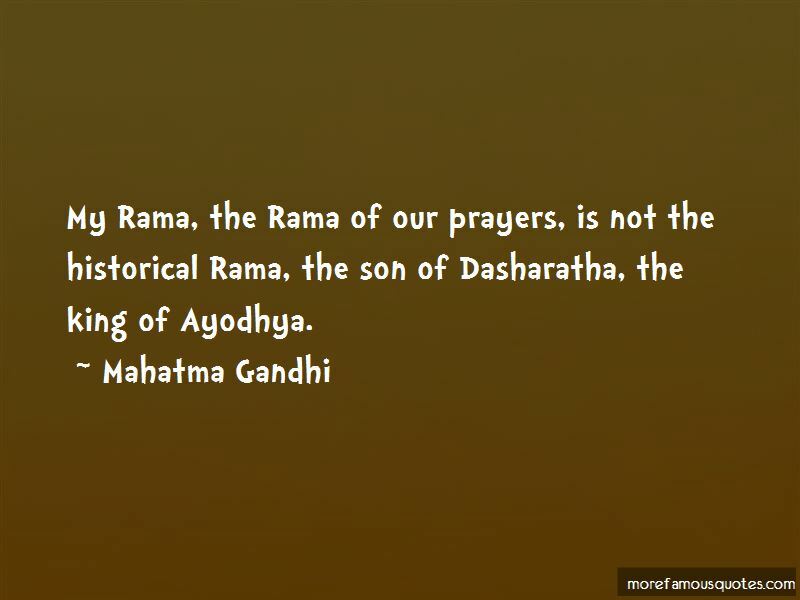 Enjoy reading and share 3 famous quotes about Ayodhya with everyone. “Growing religious fundamentalism is directly linked to globalization and to privatization. 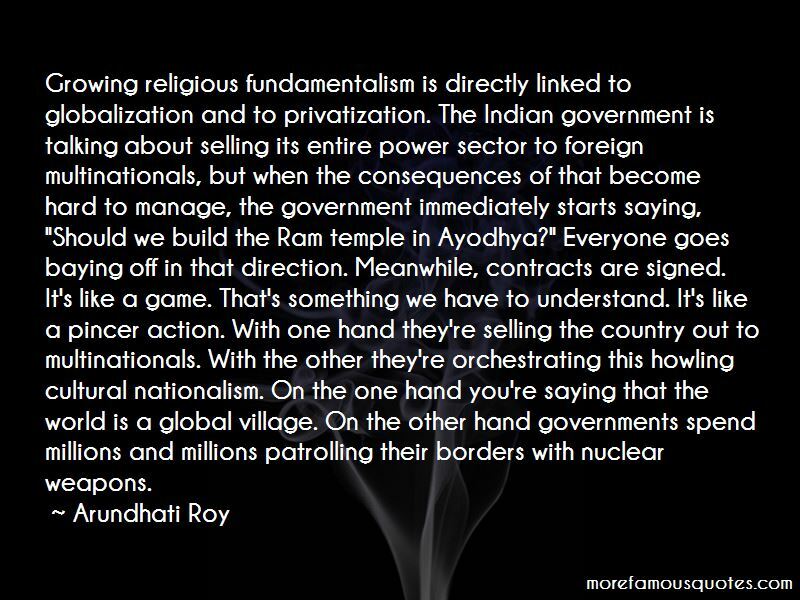 The Indian government is talking about selling its entire power sector to foreign multinationals, but when the consequences of that become hard to manage, the government immediately starts saying, "Should we build the Ram temple in Ayodhya?" Everyone goes baying off in that direction. Meanwhile, contracts are signed. Want to see more pictures of Ayodhya quotes? 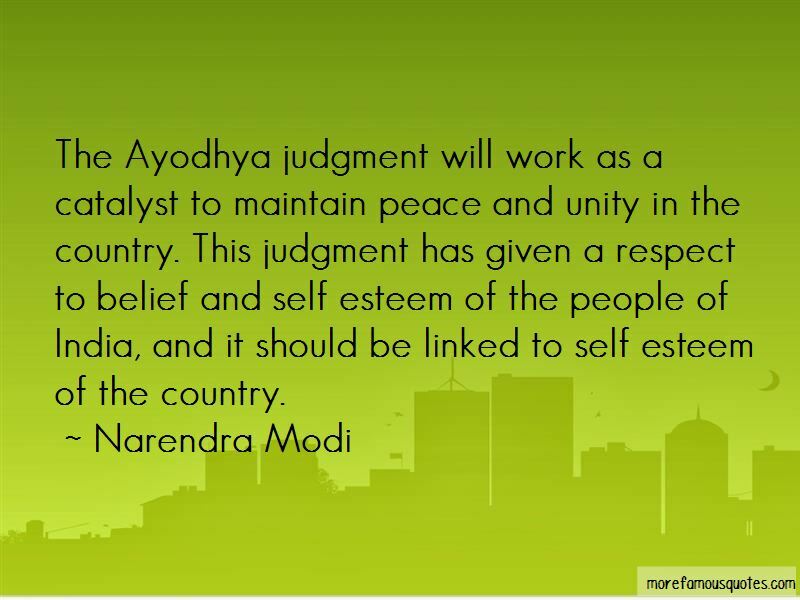 Click on image of Ayodhya quotes to view full size. “Avoid fancy words ... If you admire fancy words, if every sky is beauteous, every blonde curvaceous, every intelligent child prodigious, if you” — William Strunk, Jr.